Belt and Road Initiative (BRI) is a Chinese initiative which has had a lot of publicity over the last few months, including some Geographical magazine articles, and a book or two published as well. The Guardian has a very useful interactive on this huge development. 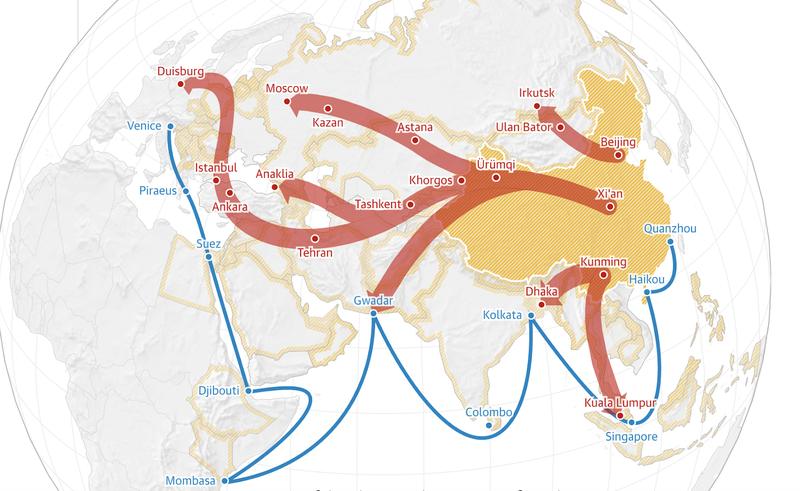 Belt and Road has been described as the new Silk Road. A recent New York Times in February 2019 had an excellent front page feature on the Belt and Road too, and several countries are now bidding to be part of it, including Italy, which can be seen on a shipping route on the map above. China is also developing new shipping routes in the Arctic.